Woodlands Shopping Mall is a small but intimate shopping complex that features both international and local stores including O'hagan's, Phil Opticians, Umoyo, Pick N Pay store, The Oriental Food and Gift Store, Autoworld, Coffee Culture and Co, Link pharmacy, Zanaco, Western Union, Kuku's boutique, Salon E -class, plus more. Foxdale Court is a one stop complex for diverse shopping requirements. This modern-style shopping centre offers a wide variety of clothing stores, banking facilities, and places to eat. Customers have access to their favourite stores and brands in a clutter-free and relaxing environment. Whether young or old, Makeni Mall provides a wide selection of products and services that address every shopper's needs. The mall is focused on improving and making life more meaningful for the Zambian people. For its visitors' convenience, Makeni Mall has many ATMs and other convenient services such as Bureau de Change outlets. Levy Junction Shopping Mall contains clothing and shoe stores, furniture stores and a pharmacy, as well as eateries ranging from fast food chains to sit down restaurants, amongst many other shopping and entertainment options. Levy mall is centrally located, making it easy to reach with personal or public transport. Kabulonga Shopping Centre has a wide selection of shops that stock various products to meet your needs including foodstuffs, household goods and clothing. Enjoy meals and drinks from five eateries. Two ATMs, a Standard Chartered bank, Post.Net, a cash transfer or receiving services and Kenneth Kaunda Metropolitan University. EastPark Mall is the perfect place for a sunny afternoon lunch, browsing the shelves and racks, tracking down that new outfit or checking items off your grocery list. The mall's retailers render the following products and services: fashion, health, beauty, jewellery, electronics and IT, financial Services, toys and printing, amongst others. Manda Shopping Mall houses a wide selection of stores that offer a variety of products and services. Eateries serve delicious meals and assorted drinks. Convert your currency at bureaux de change within the mall. Relax and watch a movie at the cinema. Try your luck at the casino. Enjoy high speed internet at cafes. 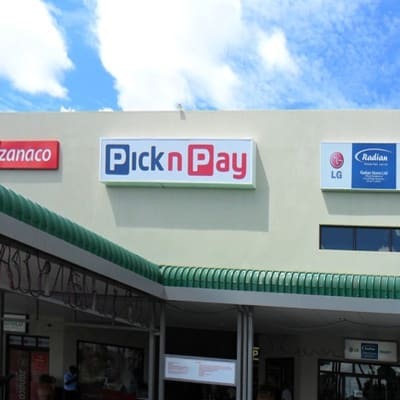 Crossroads offers many retail options: Spar is a big chain store offering a variety of products to cater for your grocery and household needs. Other stores include J & S African Wear & Trading, Urban Cosmetics & Accessories, Lush Living, Buzz Cafe, Hazida, Bookworld, Majoru Meats, Sounds Music Store and many others. This store has been in operation for over 20 years. It has grown from a small local retailer to a nationally recognised company that supplies goods to an assortment of industries. Handyman's Paradise is now one of the biggest retailers in the country. Trained staff members are always on hand to offer assistance. With a collection of over 20 shops, Cairo Mall offers an interesting variety of shopping experiences. Get your beauty fix with shops like Beauty Holy Land Cosmetics or London Fashions, among others. There are a number of eating places that are convenient for the busy working class person. Arcades Shopping Centre is home to over forty stores and restaurants in a refreshingly spotless and relatively peaceful environment! Of course it gets busy but it does not have a manic feel about the place. Grounds are secure and parking is available. Arcades is strategically located away from the hustle and bustle of the city centre.